Valve Condition Monitoring is known to reduce risks, and maximise efficiency and reliability in all processes where it is deployed. It is increasingly being seen as the only safe way of managing valve populations. 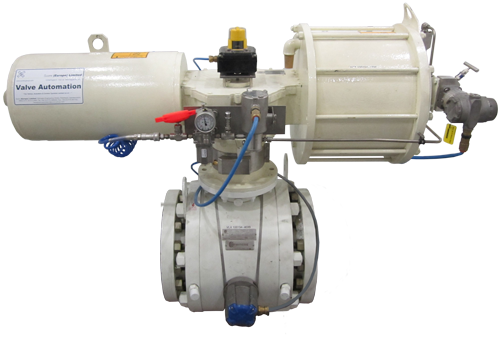 To ensure the on-going safety integrity, environmental protection and efficiency of your process is correctly maintained at all times, it is of critical importance that you know the condition of your process valves. Put more simply, you need to know if your valves are leaking or not and if they are leaking, how bad is the leak? Additionally, on more critical valves you need to know if there is another "failure mode" developing in your valves or operators that will expose you to risks to people, process or plant (for example, in the event a valve fails to complete its design function such as closing or opening on demand). Score Diagnostics Limited is a leader in valve leak detection and valve condition and performance monitoring. Using acoustic emission (AE) technology as one of its primary tools, it has revolutionised leak detection, making it quicker and easier than ever before. Acoustic emissions (AE) leak detection is about finding and quantifying valve leakages by examining the very high frequency noise a leaking fluid generates. Ultra portable and wireless through valve loss / leak detection kit, which uses AE (Acoustic Emissions) sensor. Permanently installed and hard wired AE (Acoustic Emmisions) sensor, which can tie into existing SCADA (Supervisory Control And Data Acquisition) system or bespoke Score V-Map® system. 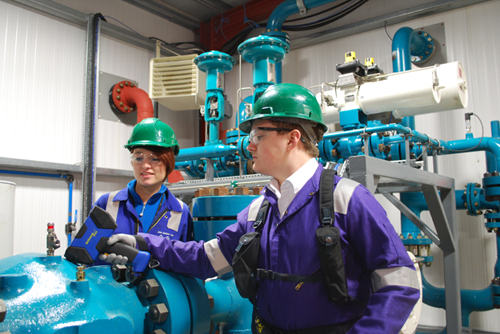 Fully integrated valve condition monitoring equipment and systems for critical valves. The MIDAS Meter® is the next generation in Acoustic Emissions (AE) valve leak detection equipment, designed and manufactured by Score Diagnostics Limited, a Score Group plc company. 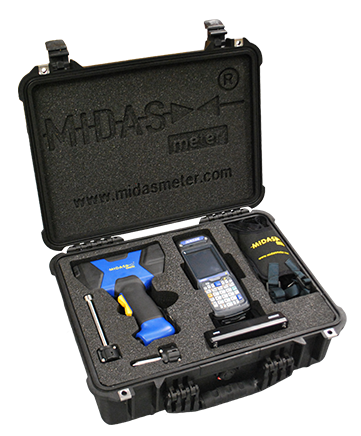 The MIDAS Meter® is completely portable and easy to use. The device measures and reports sound levels in decibels (dB), listening for the high frequency noise a fluid generates when it passes through a damaged seat or seal interface, which allows you to quickly and non-invasively find and quantify any valve leaks. Since the device only picks up high frequency noise, low frequency mechanically generated noise is excluded, allowing the MIDAS Meter® to conclusively identify even the smallest valve leaks in "noisy" areas of your plant. The MIDAS Meter® valve leak detection tool helps you quickly find leaking isolation valves, control valves, safety valves and steam traps, during maintenance or shutdown planning, process plant commissioning and during normal production operations. Once you have identified a leaking valve and quantified its leak rate, its deterioration in performance can then be trended over time, to help avoid critical and unexpected in-service failures. This valve condition and performance monitoring solution helps your asset integrity and maintenance teams move their focus from reactive to proactive maintenance activities and thus significantly improve plant efficiency and reduce your exposure to safety risks and costly production downtime. MIDAS Meter® helps you to target your maintenance budget expenditure and actions on valves where the maximum return on investment can be achieved. Using the same acoustic emissions (AE) leak detection technology as Score's portable valve leak detection tool, the MIDAS Meter®, the MIDAS® Sensor is designed for permanent but non-intrusive installation to provide continuous on-line valve condition and performance monitoring in hazardous areas where intrinsically safe equipment is required. The MIDAS® Sensor detects the early onset of leakage so aiding operations to identify, trend and quantify valve leakage and enabling the appropriate operational and remedial actions to be put in place. This intrinsically safe valve condition and performance monitoring solution takes you from reactive to proactive maintenance by engaging in condition based monitoring and predictive maintenance activities. MIDAS® Sensor valve leak detection equipment therefore helps focus budget expenditure and actions on valves where maximum benefits can be achieved. The principle application for the MIDAS® Sensor is through valve leak detection. This can be a standalone application with the MIDAS® Sensor interfacing with the plant's data acquisition system or SAS (Site Automation System) or used as part of Score's V-MAP® G3 system to provide a complete picture of a valve's condition by monitoring the valve and actuator operating characteristics of force or torque, pressure, position and speed of operation. To view our white paper on optimising maintenance with acoustic emissions click here. 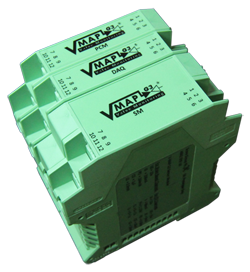 V-MAP® G3 is an on-line system that offers continuous, non-invasive valve condition and performance monitoring of critical valves and the process / systems in which they are operating. Performance data is acquired remotely, without the need for personnel to be in attendance to monitor traditional "intervention" type tests. V-MAP® G3 acquires data for every valve operation, including unplanned operations / events, thus building up a history for trending performance, that in some cases may be used in-lieu of a planned intervention test, thereby avoiding the need to interrupt production. Valve and actuator performance trends can then be used to establish a preventative valve maintenance programme, based on measured in-service valve and actuator condition. The new and enhanced third generation of the V-MAP® system provides process plant owners, operators, integrity and safety assurance engineers as well as maintenance personnel, actionable evidence and enhanced visibility of any / all developing failure modes in valves and their operators. It covers the Performance Standards for all Safety Critical Elements in Safety Integrated Systems (SIS): Emergency Shutdown Valves (ESDVs), Process Shutdown Valves (PSDVs), High Integrity Pressure Protection Systems Valves (HIPPS), Blow-Down Valves (BDVs) and Pressure Safety Valves (PSVs). To view our V-MAP® G3 case studies click here.